Fritz von Uhde (1848–1911), Dutch Seamstresses (Sisters in the Sewing Room) (1883), oil on canvas, 60 x 48 cm, location not known. Wikimedia Commons. I have another eclectic painter for you: Friedrich Hermann Carl Uhde, generally known as Fritz von Uhde (1848–1911). He has been called “Germany’s outstanding Impressionist”, and claimed to have been a major influence in plein air painting in Germany. He painted military, religious and genre works, and I suspect that he was also one of Germany’s precious few Naturalist painters. I’ll try to convince you in this article and its conclusion next week. Uhde was born in Saxony, and attended high school in Dresden, from where he was admitted to the Academy of Fine Arts in the city. Most unusually, he left after his first year of studies there to join the army, in which he became a professor of horsemanship! Fritz von Uhde (1848–1911), In the Monastery Garden (1875), oil on canvas, 155.5 x 240 cm, location not known. Wikimedia Commons. Uhde seems to have kept up his painting when he was serving in the army. In the Monastery Garden from 1875 shows an unusual motif of a monk serenading a couple on his violin. This is odd, because it could easily be mistaken as a reference to the very popular piece of ‘light classical’ music of that name by Albert Ketelby, which wasn’t published until 1915, and whose origins are thought to have been no earlier than 1910. 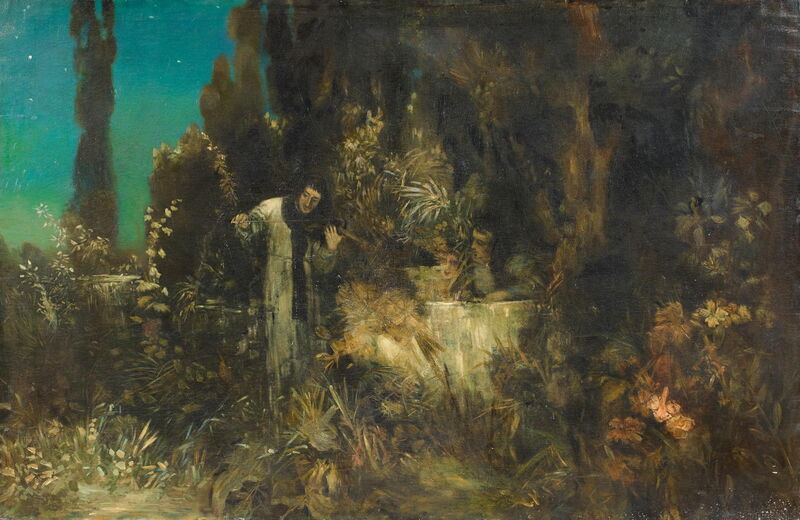 The following year (1876), Uhde’s interest in painting was rekindled by a meeting with Hans Makart in Vienna. He then left the army to attend the Munich Academy of Fine Arts. However, he was unable to get into any of the major studios in Munich, so in 1879 he moved to Paris, where he became a pupil of Mihály Munkácsy for a year. 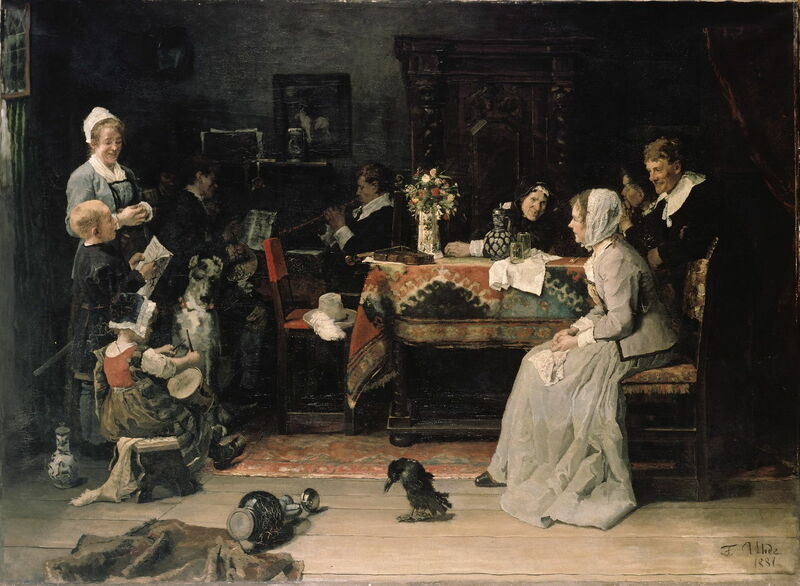 Fritz von Uhde (1848–1911), Family Concert (1881), oil on canvas, 187 x 253 cm, Wallraf-Richartz-Museum & Fondation Corboud, Cologne, Germany. Wikimedia Commons. When in Paris, he retained his dark and traditional style, as shown in his Family Concert from 1881. His paintings were generally well-received, and he exhibited at the Salon from 1880. Fritz von Uhde (1848–1911), Fishermen’s Children in Zandvoort (1882), oil on canvas, 60.2 x 80.2 cm, Österreichische Galerie Belvedere, Vienna, Austria. Wikimedia Commons. 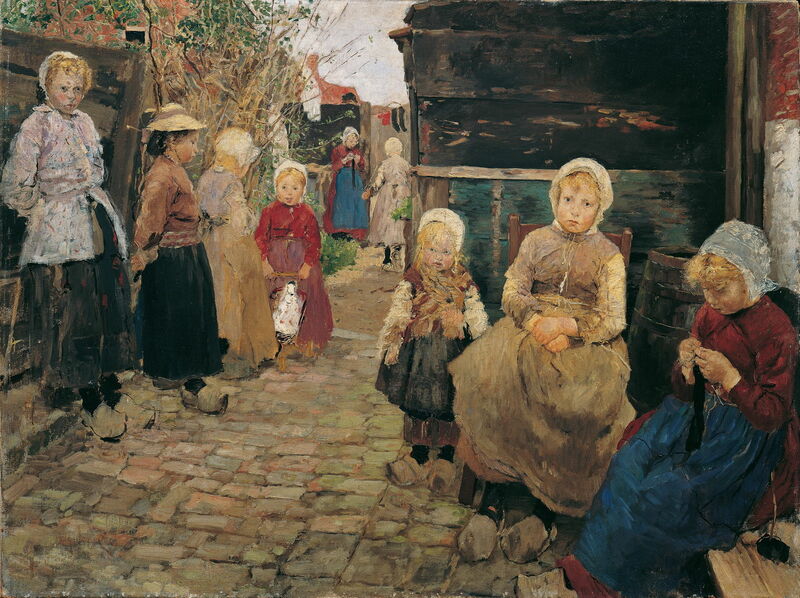 In 1882, at the recommendation of Max Liebermann, Uhde moved to the Netherlands, where his style changed dramatically. Working largely en plein air, paintings such as Fishermen’s Children in Zandvoort (1882) are much lighter and higher in chroma. Although this is claimed to have been the influence of Impressionism, his paintings more closely resemble those of the ‘school of Bastien-Lepage’ at the time: Naturalism. Fritz von Uhde (1848–1911), Organ Grinder in Zandvoort (1883), oil on panel, 47 x 36 cm, Alte Nationalgalerie, Berlin, Germany. Wikimedia Commons. 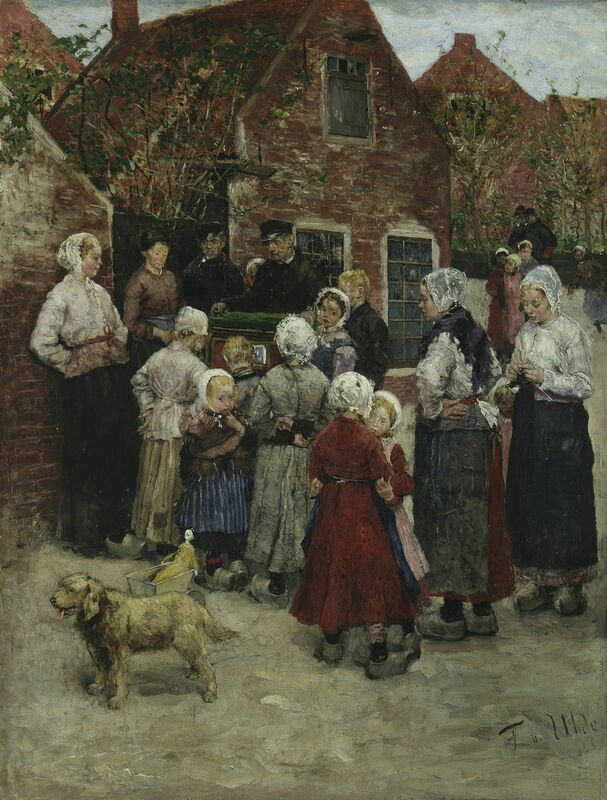 Another of his paintings from this period and location is Organ Grinder in Zandvoort (1883), which bears little resemblance to any sort of ‘Impression’. Organ Grinders were a common sight throughout the town streets of Europe well into the latter half of the twentieth century, but have since been replaced by other types of street musician. They commonly entertained children with their popular music and a captive animal such as a small monkey. Pierre Bonnard painted one in Paris in The Barrel Organ (The Organ Grinder) in 1895. Although he painted en plein air from 1882 on, Uhde continued to create more formal works, which also became much lighter and typical of the Naturalists working in Paris at the time. 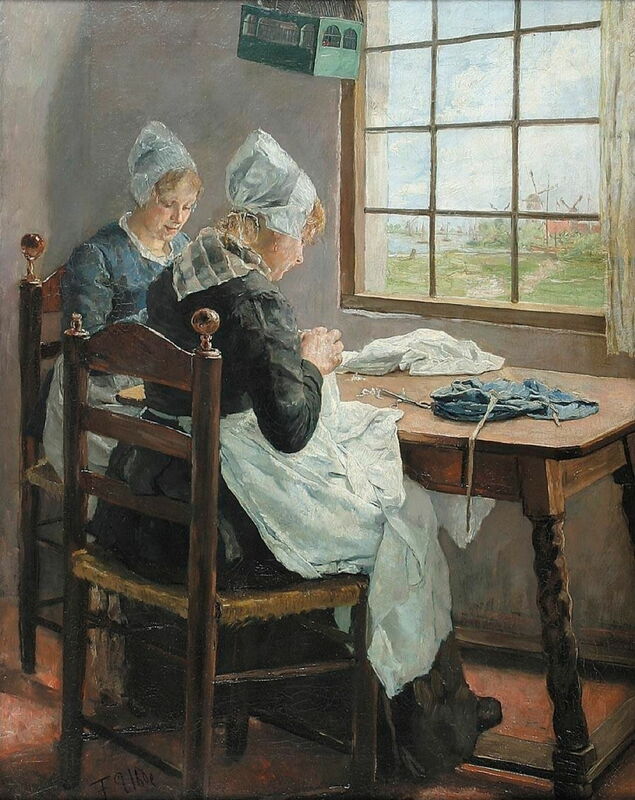 Dutch Seamstresses (Sisters in the Sewing Room) from 1883 is a good example. Fritz von Uhde (1848–1911), Bavarian Drummers (1883), oil on panel, 75 x 95 cm, Galerie Neue Meister, Dresden, Germany. Wikimedia Commons. 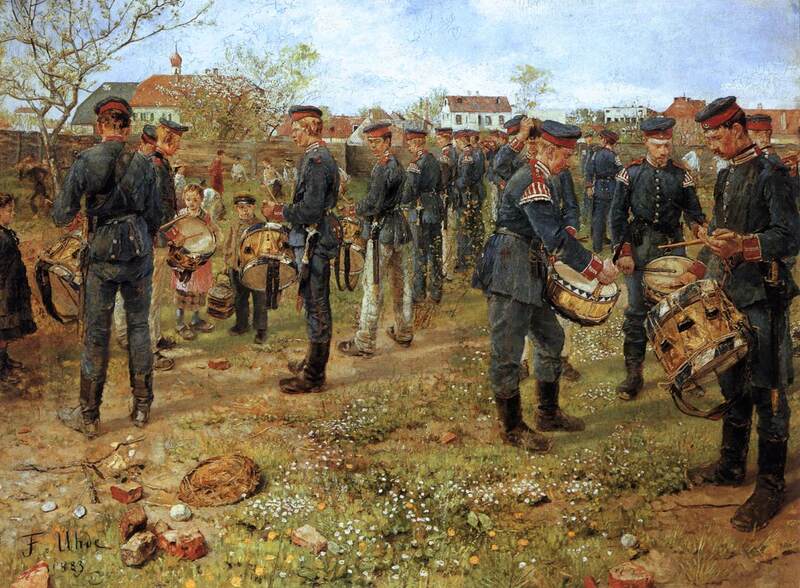 In 1883, Uhde returned to Munich, where he established his reputation for what he termed ‘unacademic painting’ with works like Bavarian Drummers (1883). Fritz von Uhde (1848–1911), In the Anteroom (At the Door) (1885), oil on canvas, 135 x 100 cm, Alte Nationalgalerie, Berlin, Germany. Wikimedia Commons. 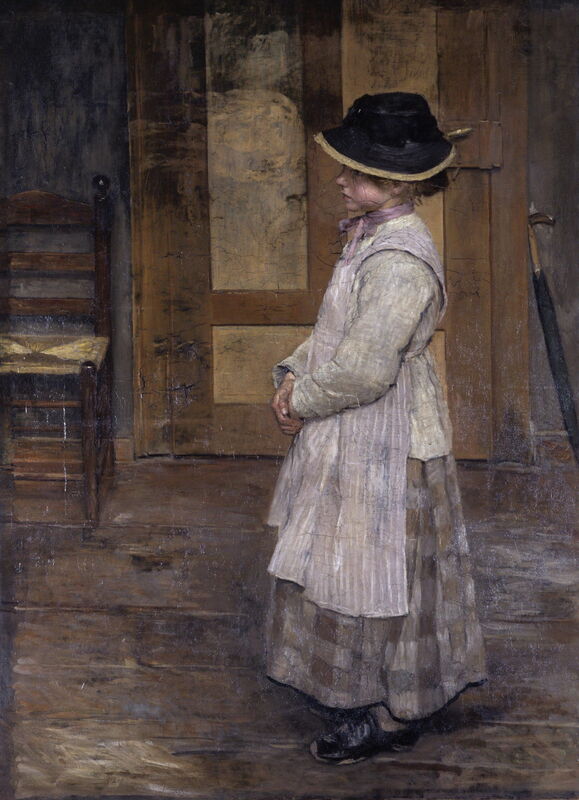 At the height of Naturalism in Paris, he painted this portrait of a small girl stood On the Threshold (At the Door), in 1885. He also turned to religious motifs, which he continued to paint until the end of his life. 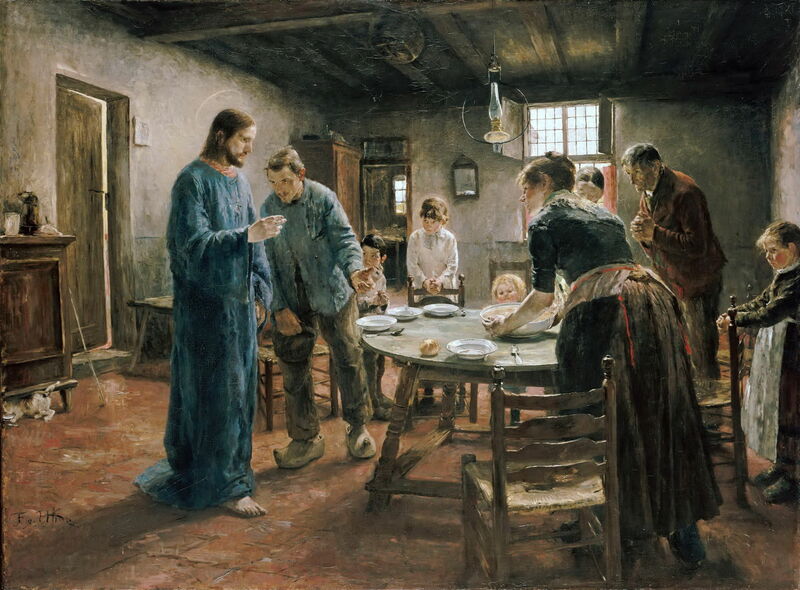 Fritz von Uhde (1848–1911), The Mealtime Prayer (“Come, Lord Jesus, be our guest”) (1885), oil on canvas, 130 x 165 cm, Alte Nationalgalerie, Berlin, Germany. Wikimedia Commons. In The Mealtime Prayer from 1885, he interprets a grace said with meals literally: “Come, Lord Jesus, be our guest”. This large poor family is just about to sit down to share the big bowl of soup being placed in the middle of the table. The words are depicted coming true, with Christ appearing as their guest. 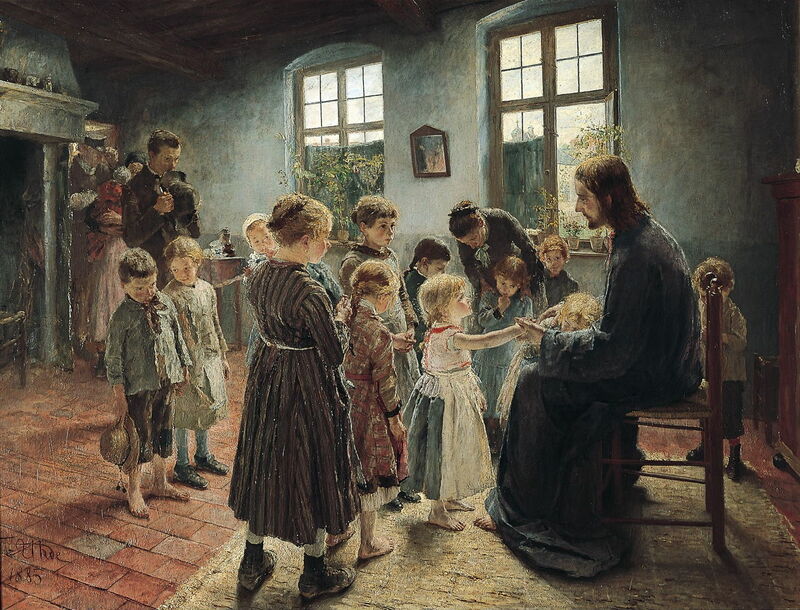 Fritz von Uhde (1848–1911), Suffer the Little Children to Come Unto Me (1885), oil on canvas, 72.5 x 95.8 cm, Pommersches Landesmuseum, Greifswald, Germany. Wikimedia Commons. Suffer the Little Children to Come Unto Me, also from 1885, is a modern interpretation of the well-known quotation from the teaching of Jesus, with a queue of ordinary parents bringing their children to be blessed by Christ in a modern setting. There are at least two slightly different versions known of this painting. Fritz von Uhde (1848–1911), The Last Supper (1886), oil on canvas, 206 x 324 cm, Staatsgalerie Stuttgart, Stuttgart, Germany. Wikimedia Commons. 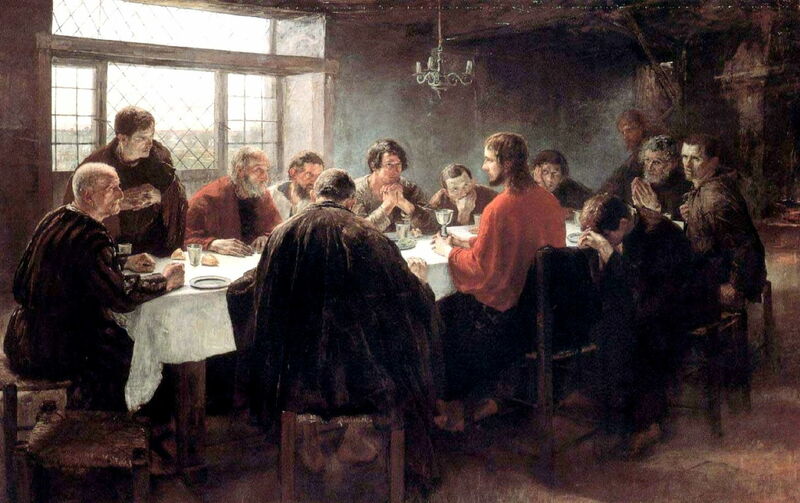 Although the quality of this image isn’t good, Uhde’s Last Supper from 1886 demonstrates again how he takes popular episodes from the Gospels and recasts them in modern settings, something which divided public opinion at the time. By this time, Uhde was teaching too. In the next and final article about him I will show a selection of his later works, including some which are even more Naturalist in their style. Posted in General, Life, Painting and tagged Ketelby, Liebermann, Munkácsy, naturalism, painting, realism, Uhde, von Uhde. Bookmark the permalink.